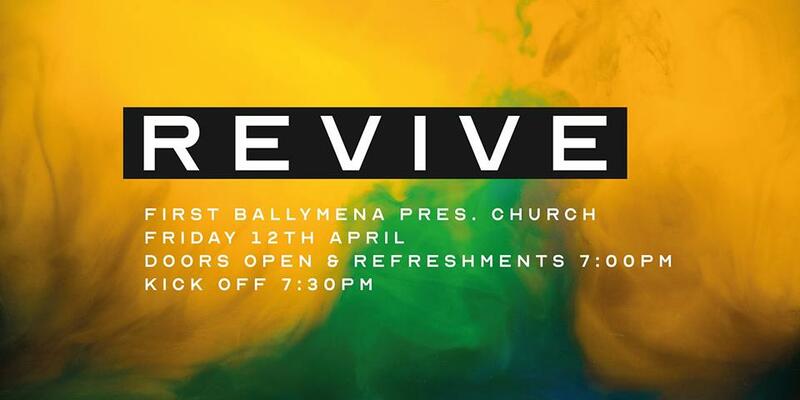 Everyone at First Ballymena Presbyterian Church is looking forward to REVIVE: An Evening of Worship. This is happening on Friday 12th April 2019 from 7:30pm to 9.30pm and YOU are invited. The Ministry team at First Ballymena, William Sinclair and Matthew Boyd, are looking forward to a special night. “Doors open at 7.00pm – there will be refreshments as well. We look forward to seeing you there”, he added. “Make sure to share this with everyone you know, we’d love to see our town worship together”, they said. To discover more about First Ballymena Presbyterian Church, log on to their website here or find them on Facebook here. The church address is Meetinghouse Lane, Ballymena BT43 7BT.